The Western Regional Office of the Food and Drugs Authority has so far seized more than 6,000 capsules of Tramadol from licensed chemical stores across the length and breadth of the Region. 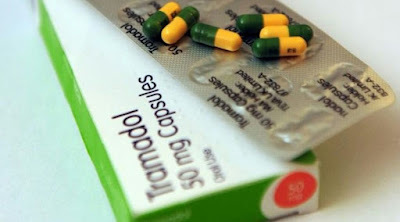 Tramadol, a synthetic narcotics drug, used to manage moderate and severe pains could only be sold as a prescribed medicine and not supposed to be sold by chemical stores. Mr Abu Sumaila, Regional Head of the FDA, told the Ghana News Agency that the drug had been abused in no small way by the youth, manual workers and drivers in recent times, mainly because it was accessible at the chemical stores and among drug peddlers. According to him, the abuse of Tramadol could make one addictive, result in brain damage, epilepsy, excessive sweat and also hallucination. In Ghana, the 50 to 100 grams are approved for use, but according to Mr Sumaila a combination of 120 and 80 grams were among those seized. He said within the Sekondi/Takoradi Metropolis, out of the 31 license chemical stores visited, 1060 capsules were retrieved from four stores. At Wassa Akropong and Enchi, 1,050 capsules were seized from two shops out of the 12 visited. The FDA Boss said Asankragua recorded the highest number of 4,900 probably due to the mining activities in the area. “We are in talks with the Association of chemical sellers to stop their members from selling such drugs which is contributing to bad health among the youthful population of the country,” he added. He encouraged the public not to buy drugs from peddlers but rather visit the pharmacy for the right prescribed drugs.